Maurício Miguel Pereira, commonly known as Maurício “Behring” or “Maurição da Hunter” (Maurição of Hunter / Hunter’s Maurição) was one of the top jiu jitsu figures of the late 1990’s and early 2000’s decades, be it a promoter/sponsor (through his Hunter Fightwear brand), as an athlete (who conquered medals at the Brazilian Nationals and Pan American Championships) and as an instructor having helped the development of athletes such as Fabrício Werdum, Márcio Corleta, Mário Reis, Rodrigo Munduruca and many more. His tragic death in 2006 shone light onto a highly controversial aspect of Brazilian law which deems a trained martial artist a “cold weapon”, allowing the use of deadly force with a firearm in claims of self defence against such an individual. Nickname: Maurício was often mentioned as Maurição Behring even though he was not a blood relative of the emblematic jiu jitsu family (Maurição being just a Portuguese way of saying “Big Maurício”). The Behring name started being used after a famous 1996 tournament named Surf + Jiu Jitsu Challenge held in Hawaii, which combined both sports. The idea for this competition came from Sylvio Behring who was also set to compete in it, but had to bail out due to a knee injury. Pereira – who was in the archipelago for the Pan American Championship, took Sylvio’s place and earned a silver medal. As he competed under the Behring banner, and always walked alongside the family, many believed he was also a Behring and referenced him as such. The name stuck with Maurício from there on. He was also often mentioned as “Maurição da Hunter“, which literally translates to (Hunter’s Maurício) due to his well known jiu jitsu brand “Hunter”. Maurício Miguel Pereira was born in Rio de Janeiro, Brazil 1962. Pereira went to school at the Colégio São Fernando in Botafogo (RJ) where he met and befriended Sylvio Behring, the two had surfing as a common hobby which helped them become very good friends from the get-go. This bond would transcend the waves on-to the mats after Maurício got a taste of grappling’s prowess while play fighting with a friend and colleague (Fred). This classmate, who was a student of Rolls Gracie, quickly caught Pereira in an armbar. 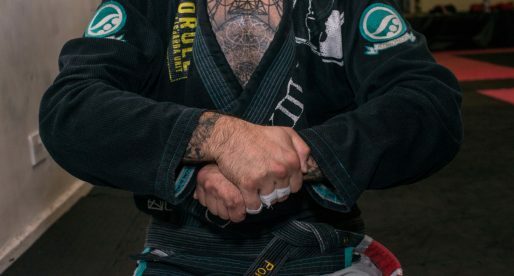 A finish that opened Maurição’s eyes to the benefits of the gentle art, soon after which he became a student of Sylvio’s father – Grand Master Flávio Behring. At the time when Maurição started training jiu jitsu, Sylvio was already a purple belt, while his brother Marcelo Behring was a blue belt. 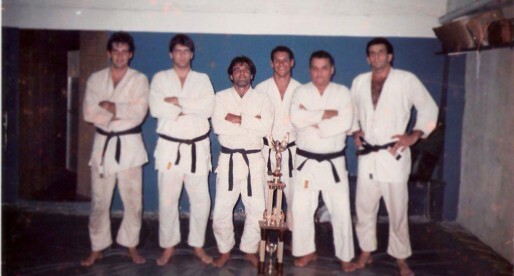 Both brothers trained not only with their father, but also with renowned coaches such as Álvaro Barreto (Sylvio) and Rickson Gracie (Marcelo), and being a close friend to both Pereira regularly visited these gyms – particularly Rickson’s academy after the two became close due to their surfing habits. 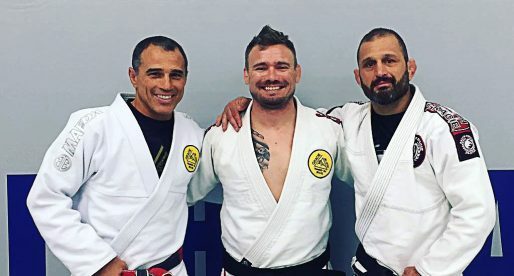 The friendship between Maurício, Sylvio and Marcelo became tighter as years went by and the trio shared not only the waves and jiu jitsu mats, but also judo classes under the guidance of the legendary Sensei, George Mehdi. All three earning their black belts in judo from the famed instructor. 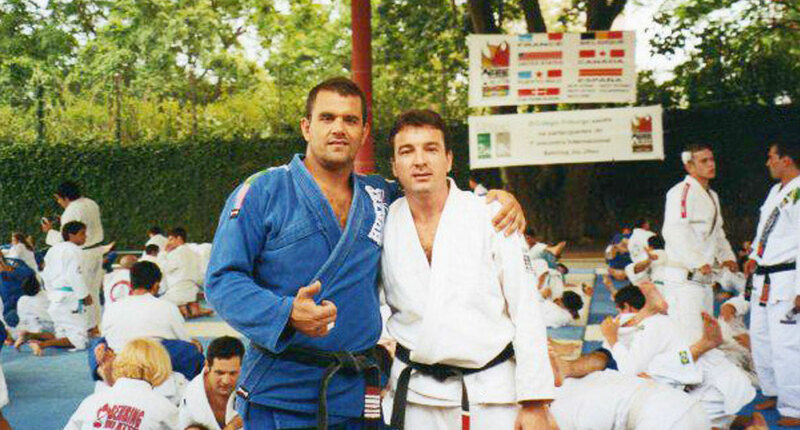 In 1986 Maurição added his black belt in jiu jitsu to his long list of achievements – a promotion led by Grand Master Flávio Behring. A successful businessman and owner of an autotrader, Maurício also helped sponsor and create several jiu jitsu events – even prior to his involvement with the BJJ wear / kimono producing company ‘Hunter’. One of the most iconic events produced by Pereira was the 1988 clash between Marcelo Behring and Cássio Cardoso, held at the “Jardim Babilônia” events house in Rio. A 90 minute war won by the Carlson Gracie pupil on points (6×2). 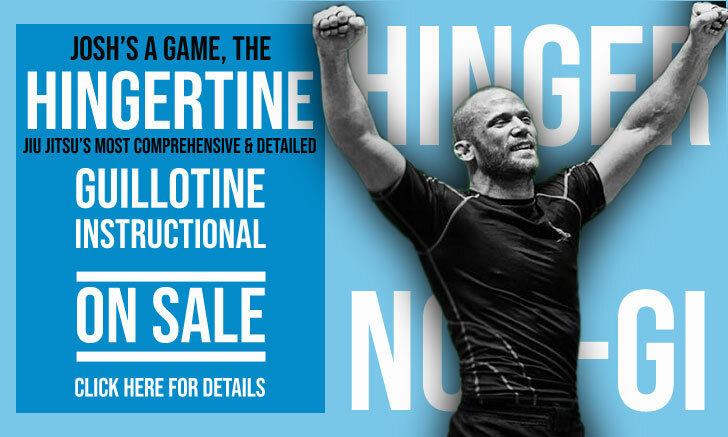 When Marcelo Behring’s life started spiralling away from jiu jitsu, and with Sylvio Behring spending most of his time outside Rio de Janeiro, Maurição stopped training for a while changing his lifestyle almost completely. After Marcelo Behring‘s abrupt passing in 1995, Sylvio Behring returned to Rio de Janeiro re-establishing his close relationship with Maurício, who had become overweight and a chain smoker. Dead set on changing his lifestyle, Maurição opened an academy together with Sylvio in what would become a golden era for the Behring academy. Now training jiu jitsu regularly, Maurício turned his life around, becoming a strong competitor in the international jiu jitsu scene. 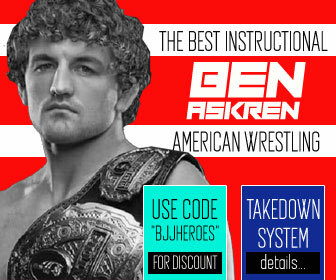 He would earn important medals at the Brazilian Nationals and the Pan American Championship, while also greatly helping the development of the larger students of his academy, both as a training partner and mentor. From this union – with Sylvio Behring at the helm and Maurição Miguel Pereira as the second in command, many incredible athletes would arise. This included Fabrício Werdum, Márcio Corleta, Mário Reis and Rodrigo Munduruca to name a few. It was around that same time that Maurição would launch the jiu jitsu brand Hunter (officially set in 1997). 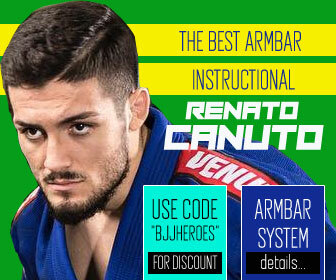 Hunter quickly became one of the most recognized grappling brands in Brazil, supporting athletes, tournaments and producing high quality goods. On June 2006, at the age of 44 Maurício Miguel Pereira was brutally murdered while having an argument with his former girlfriend, by the father of the ex who shot him dead with a pistol. The case was highly debated as it brought to light (under Brazilian law) the right to use deadly force when participating in an altercation with a jiu jitsu black belt. This since the law regarded a trained martial artist as a “cold weapon”, and the use of a gun was deemed self defence. The tragic death of Maurício also led Sylvio Behring to re-assess his approach to self defence, adding the legal component to one of his courses aptly named: Gerenciamento Progressivo de Comportamento Inconveniente (Progressive Inconvenient Behavior Management) – which became a reference in high risk professionals. GPCI was created as a functional system that allows people to work within the law to de-escalate high intensity situations. 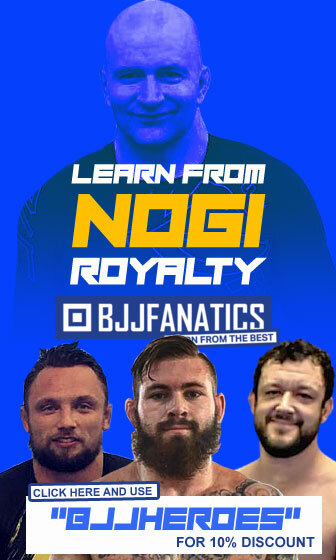 – Much of the information here presented was collected from an interview given by Master Sylvio Behring to BJJ Heroes on January 2017.